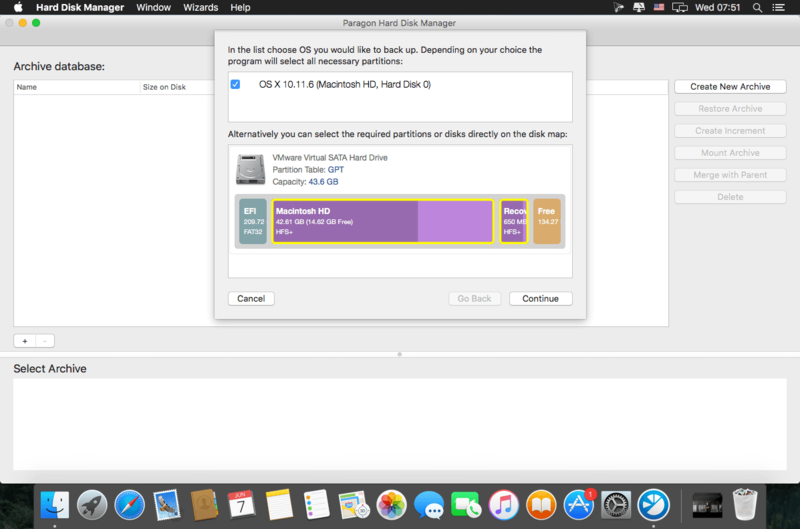 Paragon Hard Disk Manager is the ideal system- and data-management solution for Mac. Powerful backup and flexible recovery functions, everything you need for perfect partitioning, reliable data-wiping algorithms, and much more.... All of this is what will make your Mac happy! Complete hard disk management - Covers all aspects of a Mac computer life cycle, beginning from drive partitioning and regular backup to system migration, disaster recovery and secure utilization of an outdated storage. You need two or more competitive utilities to have a similar set of functions. Regular data protection - Sector-level data processing through the Paragon's Snapshot enables to do live imaging of the entire Mac including OS, applications with great perfomance. 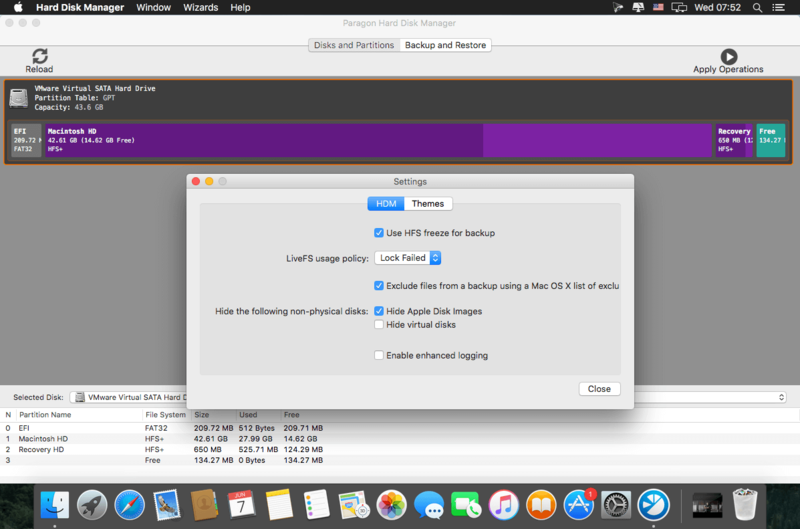 Backup to VMDK opens up an easy migration to a virtual environment of VMware Fusion. Fast restore at a granular level allows to restore only needed files through the Finder by mounting backup image. Bootable recovery media - Create a bootable USB-flash stick or external storage to restore OS X system volumes or accomplish drive partitioning when OS X fails to start up or SIP doesn’t allow to perform the operations. Boot Camp management - Anything you may need to effectively manage your Boot Camp Windows: backup, restore, repartitioning as well as boot correction capabilities. Secure wiping - 10 military and governmental data wiping standards as well as support of the "SSD Trim" function to safely erase all on-disk data or only remnants of deleted files on traditional rotating platter disks or solid state drives.